“@PollyDad: That 14 men refused MH a ride the night she disappeared”SO SAD! I wonder if any women refused her a ride, & did she know men? Is there a pattern with this creep? The cases he is connected with are September and October...??? I wonder if there is any relevance to that? I noticed the same thing... I was thinking because it's a college town so there is an influx of potential victims into the area in Aug-Sept.
Maybe around that time (school start) women are also more likely to be vulnerable. I was thinking either people go out more in the beginning because of freedom/time and weather. Also, they may not have created habits with friends and a support system (like go here first, meet here, stay with certain people) and are more likely to bar and party hop. Maybe he tries to let things die down for a while in the spring and less crowds to get lost in and vulnerable women around in summer. I didn't party much in college but trying to think back to what would have been different about that time of year. Hello Ladies & Gentlemen: Long time hearing from me, I know. Just want to post a link I am reading tonight. with my above post - did anyone here KNOW he was interviewed back in 2009??? Not to mention - it reads they just found the cab he was driving that night. Matthew, who police confirmed is also linked by forensic evidence to the Morgan Harrington case, was working as a cab driver the night Harrington was last seen. Harrington, a student at Virginia Tech at the time, disappeared on October 17, 2009 after leaving a Metallica concert at John Paul Jones Arena in Charlottesville. Her remains were found on an Albemarle farm three months later. One taxi driver says a Charlottesville detective told him back in 2009 Morgan got into a cab the night she vanished. "From when I went back and talked to the city and I asked which taxi cab, she said 'yes she did jump into a taxi cab her last time being seen alive,'” said Melvin Carter, Jr. of Carter's Taxi. Two of Matthew's former taxi co-workers have told federal and state authorities Matthew was working the night Harrington disappeared. We have learned that authorities have recovered the taxi cab Matthew was driving. It was found two weeks ago on a farm. We learned that authorities interviewed Matthew in 2009, following Harrington's disappearance, along with dozens of other cab drivers working on October 17. We also know at least 20 people involved in Charlottesville area cab businesses have been interviewed by federal and state authorities. Several of those interviews happened Thursday. We're told investigators are asking about who was working that night, if they have seen photos of Harrington, and if they noticed a change in Matthew's behavior. A state police spokesperson has not commented on the developments. This makes me so mad that I am litteraly shaking. If they knew she got into a cab, why didn't they get dna from all of them. Charlottesville is not that large that there would be hundreds of them. I bet 95% of them would have given willingly and then they could have secretly gotten the other 5%. As a citizen of Va. and knowing a few state cops, you can bet I am going to find out. THE JESSE MATTHEW/MORGAN HARRINGTON CONNECTION? Anchorage Farm is in Albemarie County about 10 miles south of where Harrington was last seen a a Metallica concert. Virginia State Police Lt. Joe Rader asked at a press conference today for people who live in the area to alert investigators to whoever was familiar with the roads and terrain there. Rader said investigators believe the person or persons responsibile for Harrington's murder was familiar with the area on Anchorage Farm where the 20-year-old's body was found. On January 26, 2010 Morgan Harrington's remains were found on rural property less than 7 miles from property registered to Jesse Matthew. Matthew had allegedly been question by investigators in 2009. If only the dots have been connected. Dan Harrington, Morgan's father, released a statement Thursday, saying,"This is what we hoped for, that more pieces of the puzzle would come together. ...."
The official police press release eleven days following Morgan's disappearance did not mention anything about a cab. Why? 8:20 - 8:30 p.m. - Miss Harrington is outside the arena near the main entrance and is attempting to re-enter the arena, but is told that arena policy requires her to have a ticket stub to do so. 8:30 - 8:48 p.m. - Witnesses recall seeing a woman fitting Miss Harrington's description outside the arena at various locations. 8:48 p.m. - Miss Harrington talks to her friends by cell phone. 8:48 - 9:00 p.m. - Additional sightings of her outside the arena are reported. 9:00 - 9:10 p.m. - Miss Harrington is seen walking through the University Hall parking lot towards Lannigan Field. 9:10 - 9:20 p.m. - Individuals report seeing Miss Harrington walking in the grassy, overflow parking lot at Lannigan Field. The lot is often used for RV parking. 9:20 - 9:30 p.m. - She is seen walking on the Copeley Road railroad bridge, between Ivy Road and the track at Lannigan Field. Investigators are asking for anyone who might have seen a young woman fitting Miss Harrington's description getting into a vehicle around this time or later to contact police. Also, anyone who might recall seeing a vehicle randomly stopped in the roadway on Copeley Road that night is asked to notify police. Gil Harrington: "It's possible #MorganHarrington did get in taxi with #JesseMatthew." She wants to know if Matthew had any injuries in '09. #BREAKING: sources tell @henrygraff #jessematthew was working as taxi driver the night #morganharrington vanished. 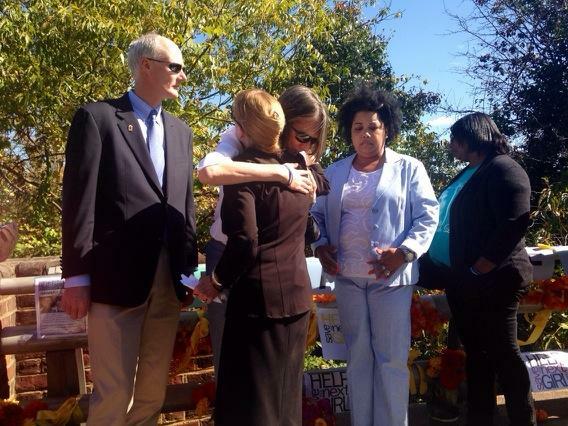 #HannahGraham's mom hugging #MorganHarrington's mom. Both clinging to hope & begging for answers. CHARLOTTESVILLE, Va. -- Police investigating the disappearance of Hannah Graham, the 18-year-old University of Virginia student who disappeared more than a month ago in Charlottesville, Va., said Saturday that unidentified human remains were found in an abandoned property in Albemarle County, Va.
WAVY’s Andy Fox reports information from a source close to the investigation, that the remains were found in a shallow grave. The source said investigators took K-9 units to the site and got a hit. 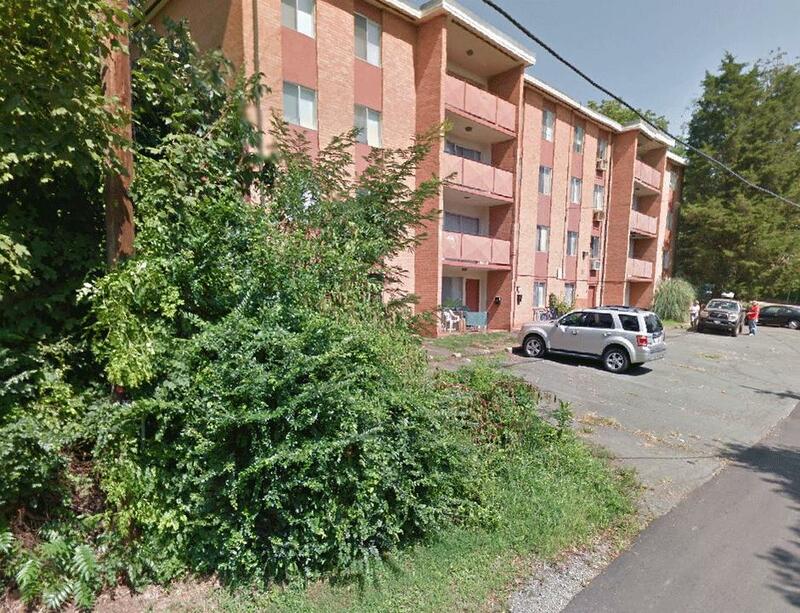 The site is believed to be in the general area where Matthew lived six years ago. His residence was on Ponderosa Trail, which is connected to Old Lynchburg Road. Jesse Matthew's residence on Ponderosa Trail was less than seven miles from Anchorage Farms where Morgan Harrington's body was found. Thanks for the link cw618. I love the map. It's simple but tells the story. Morgan’s skeletal remains were found 100 days later, on a farm south of Charlottesville— just about five miles from 3193 Old Lynchburg Road. Jesse Matthew grew up in this rural part of Albemarle County south of Charlottesville. His mom’s house is just up the road, about 4 miles from where the remains of Hannah Graham are believed to have been found.